Over-breathing (breathing in more air as we feel like we’re not getting enough, for example through yawning or sighing frequently). Feelings of unreality (of the self and/or the world). Put one hand on your chest, and one on your belly. Breathe for a few seconds. Which hand rises? If it’s your chest, you might have developed a habit of shallow- and/or over-breathing. 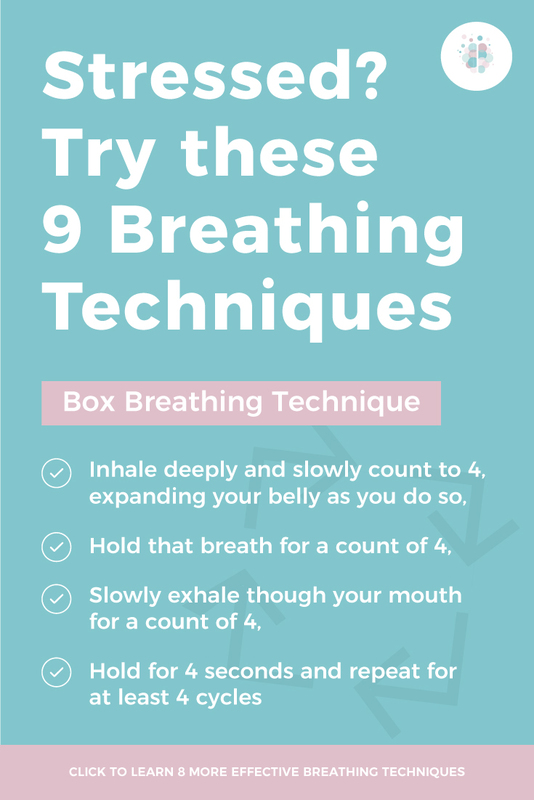 Cultivating the habit of belly breathing is a way to help correct our breathing and lessen these symptoms. When we belly breathe, our stomach rises when we breathe in, rather than our chest. This might feel odd at first, but the more you do it, the more natural it'll feel. 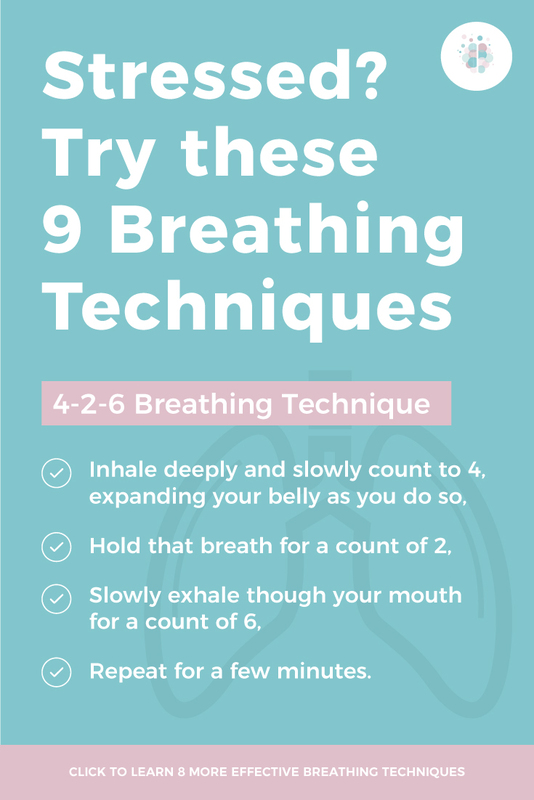 We can practise regular breathing techniques to help speed up the process of improving our breathing. 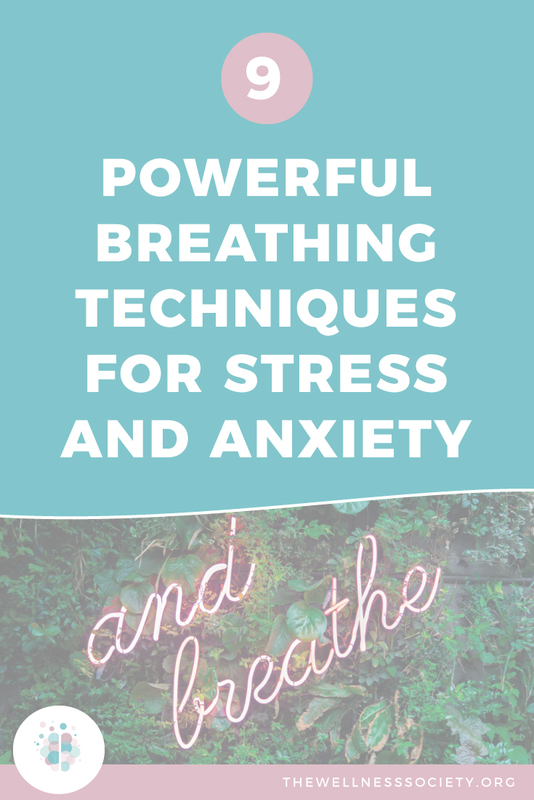 To reduce stress and physical anxiety, you’ll need to commit to practicing breathing exercises on a regular basis. 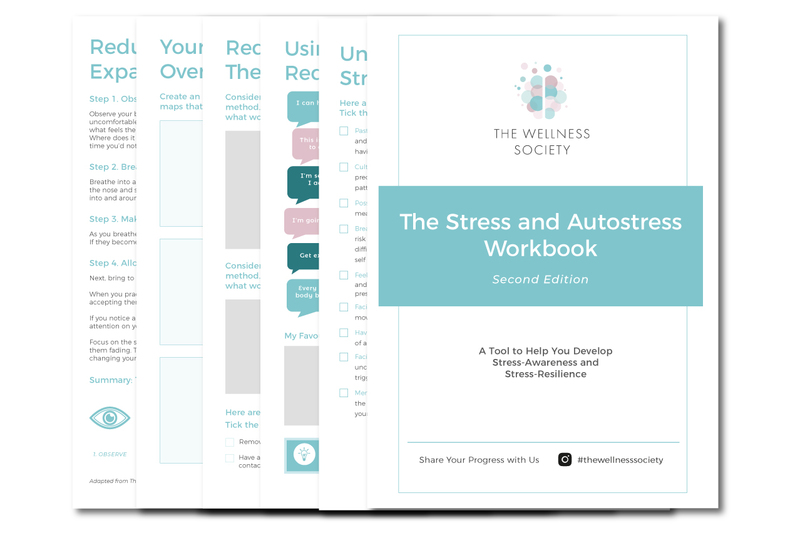 Check out The Habit Planner and Tracker to discover and apply the four science-based steps of building habits that stick. Repeat for a few minutes. Hold the right thumb over the right nostril and inhale deeply through the left nostril. At the peak of inhalation, close off the left nostril with the ring ﬁnger, then exhale through the right nostril. Continue this alternation, inhaling through the right nostril, closing it off with the right thumb, and exhaling through the left nostril. Repeat for at least 4 cycles. Inhale deeply through your nose and slowly count to 4. Slowly exhale through your nose for a count of 4. Slowly exhale through pursed lips—shaping them as though you were about to whistle or blow out a candle—for a count of six. When you've finished, you'll have taken a mindful minute.